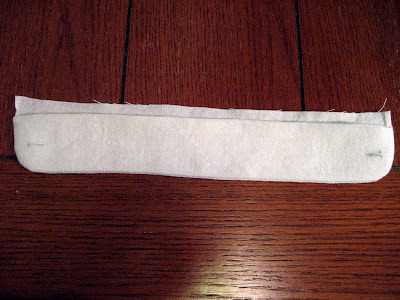 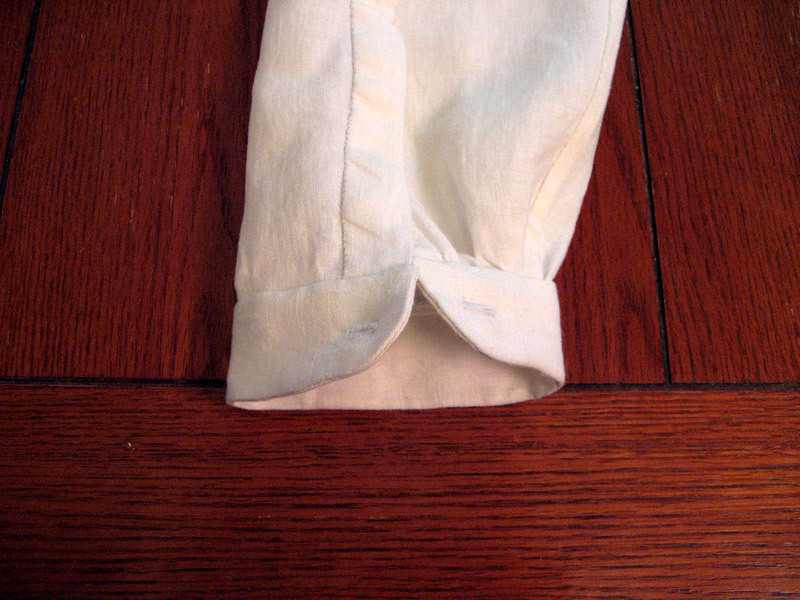 Then after sewing all three layers I turned the wristbands right side out and pressed one tab inside to attach it to the sleeve. And finally, the nearly-finished shirt. 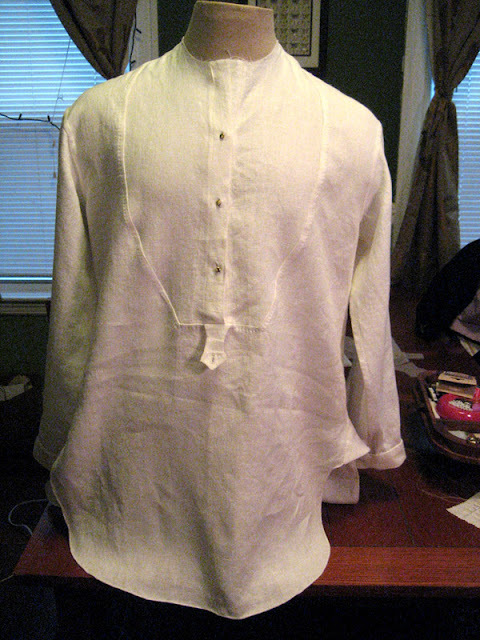 All it needs now is a collar band. 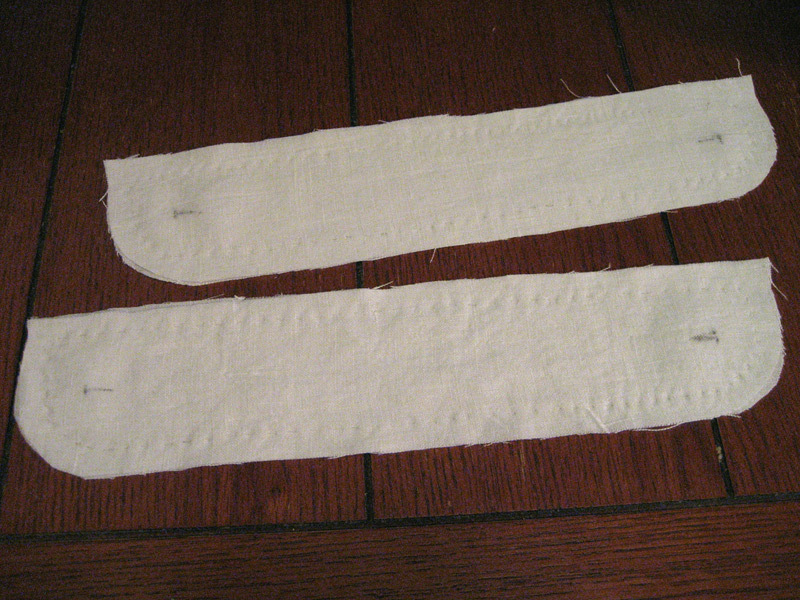 I want to be careful with that, making sure that it isn't too bulky where the collar stud will go through the front. 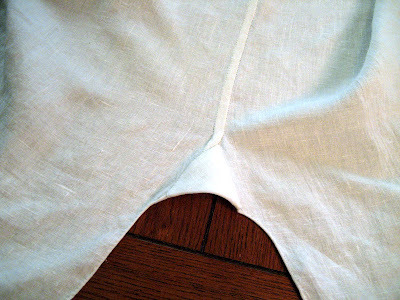 I'll have to trim the seam allowances close there, especially where the front button placket comes up into the collar band.